Are you looking to add an extra level of fun and adventure to your Creation Museum visit? If so, make sure you experience the thrill of the Screaming Raptor Zip Lines! 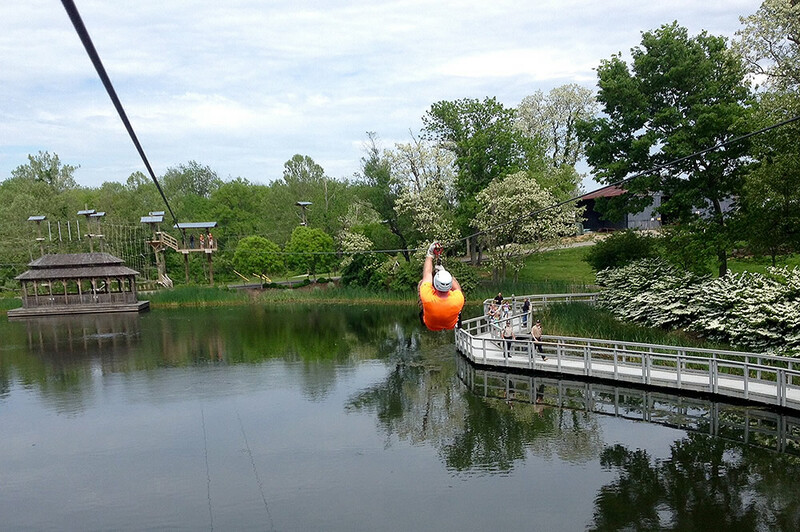 Here are five reasons you won’t want to miss a ride across the zip lines while you are at the Creation Museum. You can’t beat the view from the zip lines. As you fly over our beautiful lake, take in the view of the botanical gardens on your right with the Creation Museum to your left. 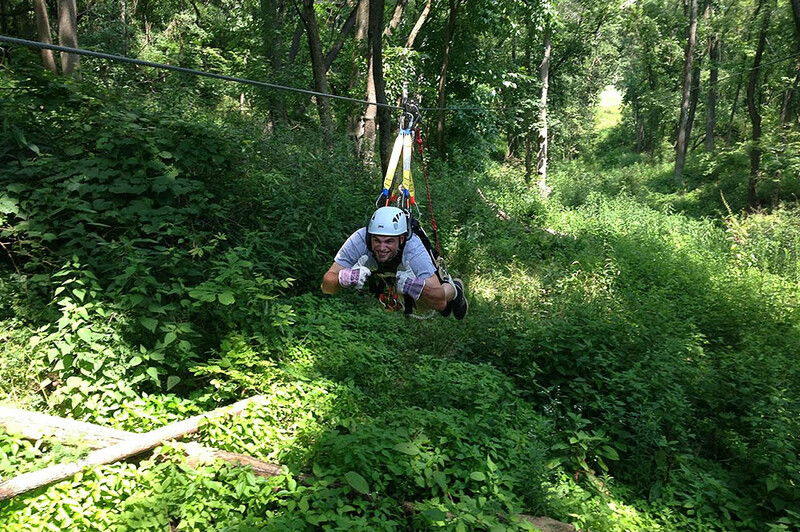 You also won’t want to miss zip lining through the trees. If you schedule your tour soon, you might be able to catch the beauty of the fall colors as you soar through the woods. The Screaming Raptor Zip Lines has five different course options available for you to choose from based on how adventurous you are and how much time you want to spend on the zip lines. You can experience five zip lines if you choose the Petro-Soar Level 1 option or up to 25 lines, 10 sky bridges, multiple free falls, and the aerial challenge with Level 5. If you are looking to take your adventure to the next level, be sure to select either the Level 4 or Level 5 package, which includes the mega zip! On this line, you have the opportunity to fly across the field and through the trees as you ride parallel to the ground. You will feel like Superman flying through the air on this line! Keep an eye on our YouTube page and social media accounts for a special 360-degree video from the mega zip line! The zip lines are a fun, family-friendly activity. 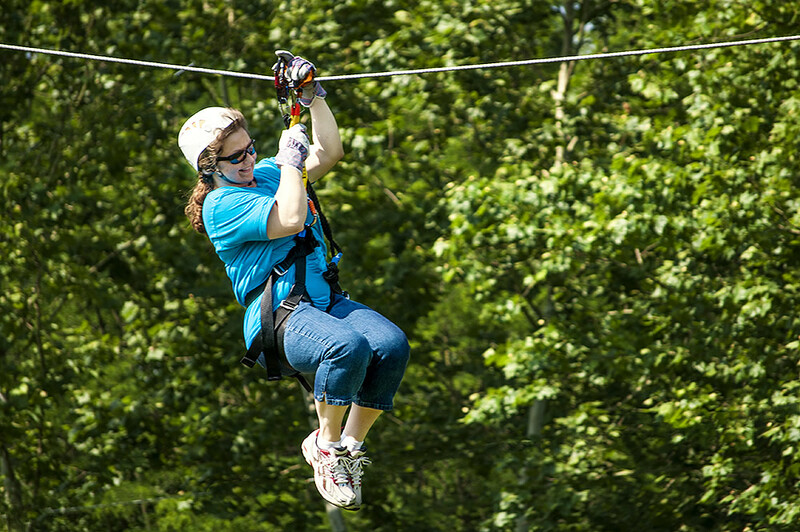 Participants must be at least eight years old, but you’re never too old to ride the zip lines! 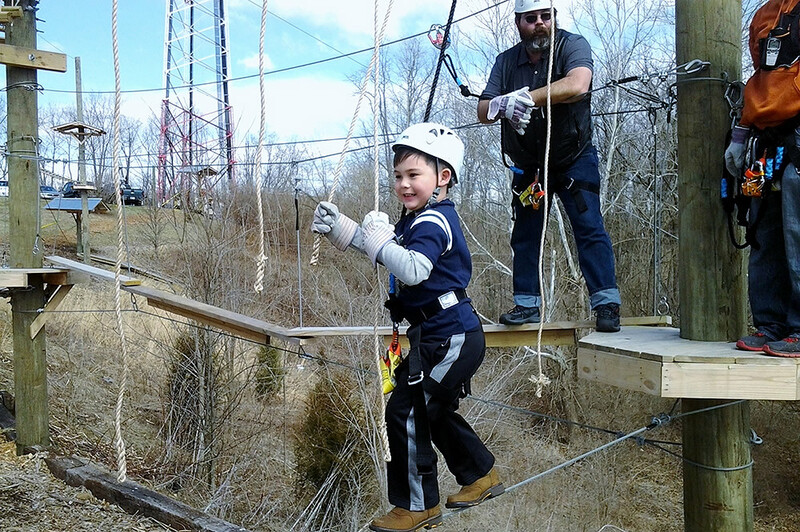 Guests only need to be five years old to enjoy the Raptor’s Nest Aerial Adventure Park. Here your family can try out the swinging planks, the slide, the loop-to-loops, and over a dozen more elements without ever touching the ground! Your friends may not believe it when you tell them about the wild ride you had at the Creation Museum. 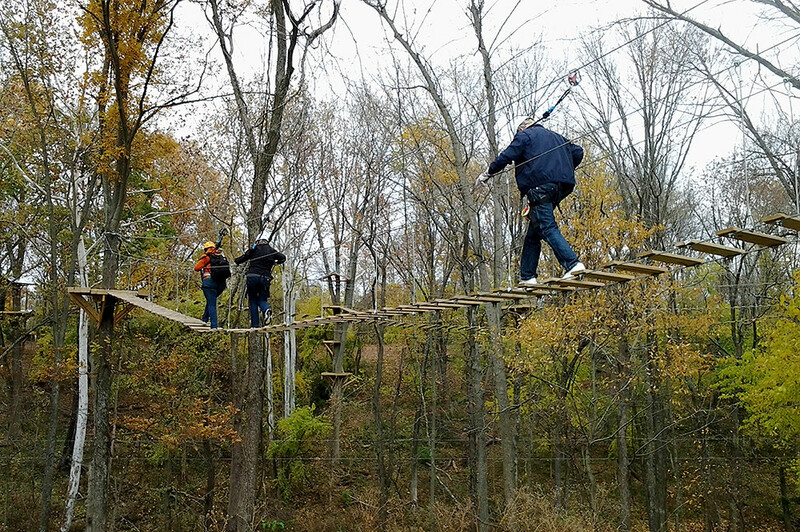 Be sure to go home with proof of your extreme adventure by purchasing a photo of your zip line experience. Stationary cameras will snap an action shot as you soar across the lake and through the woods so you can remember your experience for years to come. Over the next few months, zip line availability may vary from day to day, so be sure to schedule your zip line tour in advance. For more information and to purchase your zip line tickets, please visit the Screaming Raptor Zip Lines page.